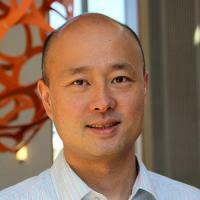 Dr. Shen’s research interests lie at precision medicine and systems biology. His lab integrates engineering, computational and biological techniques to study cancer, stem cells, microbiota and the nervous system in the gut. This multidisciplinary work has been instrumental in initiating several translational clinical trials in precision therapy. He is the director of the Woo Center for Big Data and Precision Health (DAP) and a core member of the Center for Genomics and Computational Biology (GCB). Metabolic and epigenetic reprogramming of cancer metastasis, stem cell and organoid technology, microbiome-host-disease interaction, humanized immune cancer models, intravital imaging, CRISPR/dCAS9 epigenetic screening, and peripheral neuromodulation. Bu, P; Chen, K-Y; Xiang, K; Johnson, C; Crown, SB; Rakhilin, N; Ai, Y; Wang, L; Xi, R; Astapova, I; Han, Y; Li, J; Barth, BB; Lu, M; Gao, Z; Mines, R; Zhang, L; Herman, M; Hsu, D; Zhang, G-F; Shen, X, Aldolase B-Mediated Fructose Metabolism Drives Metabolic Reprogramming of Colon Cancer Liver Metastasis., Cell Metabolism, vol 27 no. 6 (2018), pp. 1249-1262.e4 [10.1016/j.cmet.2018.04.003] [abs]. Rakhilin, N; Barth, B; Choi, J; Muñoz, NL; Kulkarni, S; Jones, JS; Small, DM; Cheng, Y-T; Cao, Y; LaVinka, C; Kan, E; Dong, X; Spencer, M; Pasricha, P; Nishimura, N; Shen, X, Simultaneous optical and electrical in vivo analysis of the enteric nervous system., Nature Communications, vol 7 (2016) [10.1038/ncomms11800] [abs]. Bu, P; Wang, L; Chen, K-Y; Srinivasan, T; Murthy, PKL; Tung, K-L; Varanko, AK; Chen, HJ; Ai, Y; King, S; Lipkin, SM; Shen, X, A miR-34a-Numb Feedforward Loop Triggered by Inflammation Regulates Asymmetric Stem Cell Division in Intestine and Colon Cancer., Cell Stem Cell, vol 18 no. 2 (2016), pp. 189-202 [10.1016/j.stem.2016.01.006] [abs]. Chen, HJ; Sun, J; Huang, Z; Hou, H; Arcilla, M; Rakhilin, N; Joe, DJ; Choi, J; Gadamsetty, P; Milsom, J; Nandakumar, G; Longman, R; Zhou, XK; Edwards, R; Chen, J; Chen, KY; Bu, P; Wang, L; Xu, Y; Munroe, R; Abratte, C; Miller, AD; Gümüş, ZH; Shuler, M; Nishimura, N; Edelmann, W; Shen, X; Lipkin, SM, Comprehensive models of human primary and metastatic colorectal tumors in immunodeficient and immunocompetent mice by chemokine targeting., Nature Biotechnology, vol 33 no. 6 (2015), pp. 656-660 [10.1038/nbt.3239] [abs]. Bu, P; Chen, K-Y; Chen, JH; Wang, L; Walters, J; Shin, YJ; Goerger, JP; Sun, J; Witherspoon, M; Rakhilin, N; Li, J; Yang, H; Milsom, J; Lee, S; Zipfel, W; Jin, MM; Gümüş, ZH; Lipkin, SM; Shen, X, A microRNA miR-34a-regulated bimodal switch targets Notch in colon cancer stem cells., Cell Stem Cell, vol 12 no. 5 (2013), pp. 602-615 [10.1016/j.stem.2013.03.002] [abs].